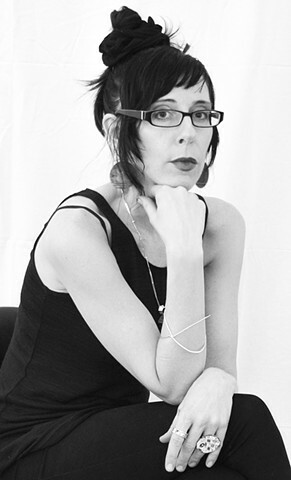 Alicia received her MFA In Artisanry—Metalsmithing/Jewelry from the University of Massachusetts Dartmouth and a B.F.A. in Functional Design at Murray State University in Kentucky. She has attained positions of visiting professor, sabbatical replacement, adjunct faculty, studio assistant/technician, artist-in-residence, and visiting (workshop) instructor at arts/crafts education centers around the United States and internationally. She was also honored to be invited to assist and display work in a small workshop at the Metropolitan Museum of Art/Ratti Textile Center which coincided with the exhibition “Gems of European Lace” 1600-1920 in 2013. In April of the same year, she was invited by the Textile Support Organization in Pavia Italy to exhibit work, lecture and teach a small workshop and participated in SIERAAD the International Jewelry Fair in Amsterdam. Alicia resides in West Palm Beach Florida, where she was the Jewelry & Metalsmithing AIR at the Armory Art Center in 2016/17. She presently is an adjunct professor at Palm Beach State College, enameling & metalsmithing workshop instructor at the Armory Art Center, gallery assistant at Whitespace-The Mordes Collection, while also continuing her personal art studio practice and limited production work.